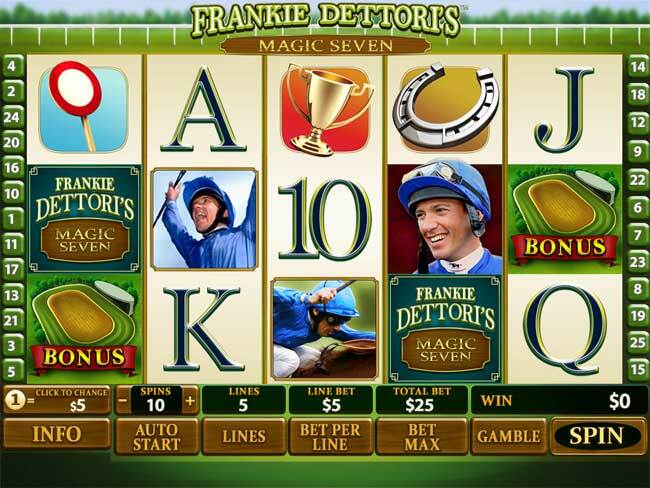 Frankie Dettori's Magic Seven is inspired by the legendary Italian jockey Lanfranco 'Frankie' Dettori and his famous seven straight wins at Ascot racecourse. The 5-reel, 25-line slot gives players the opportunity to win a maximum 7,777 times their bet on a single spin. The showcase of the game is the 'Magic Seven' bonus round where players can win cash and prize multipliers up to 7x by picking mystery positions on the virtual racetrack.